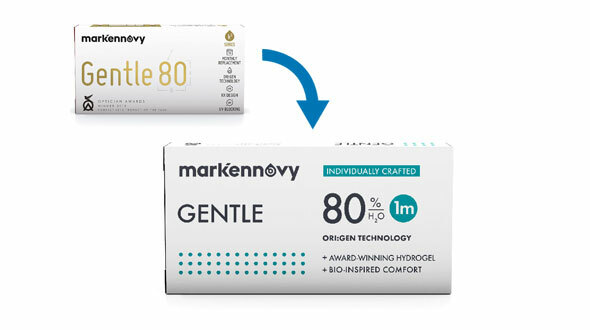 If you want to buy Lentillas Mark Ennovy Gentle 80 enters Prodevisión, quality and service differentiate us. Gentle 80 is a new range of monthly contact lenses, manufactured by the important national brand Mark'Ennovy. The Gentle 80 lenses are manufactured individually with Origen Technology, a new generation of hydrogel, designed to be totally biocompatible with the corneal surface. 80% water content, that makes them highly hydrated, with a very low% dehydration after many hours of use, the lens maintains practically all its hydration from the first hour of use until the last. All this is due to its high manufacturing technology. Under modulus of elasticity, this parameter makes them easily manageable and very comfortable to wear. Individualized design for each patient's eye. The professional will take measure of all the necessary parameters, manufacturing a totally customized cheap lenses , ensuring the success of the adaptation. Eye health. Being made of silicone hydrogel, the eye stays very oxygenated all day, avoiding problems derived from corneal hypoxia. Toric : Correct the spherical parameters mentioned in the previous section and also astigmatisms up to 8.00 dp. Spherical Multifocal: for patients with spherical defect and eyestrain. It is appropriate for all advanced ages, compensated additions of up to 4.00 diopters. Toric Multifocal: Same parameters as the spherical multifocal lens, adding the correction of astigmatisms up to 8.00 diopters. It is the most complete lens in the market. When are they indicated to use Gentle 80? 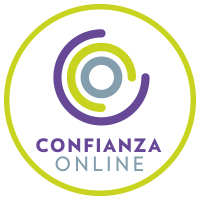 Users who are not satisfied with their current adaptation and want to wear high quality contact lenses online, tailored to their eye, ensuring the success of adaptation, thanks to the unbeatable characteristics of the product. Patients with high graduations in both myopia, hyperopia or astigmatism, remember that Gentle 80 toric corrects astigmatism up to 8.00 diopters. Eyes that need high hydration, these cheap lenses have 80% water content. Users with handling difficulties, thanks to their modulus of elasticity and handling dye, are easy to put on and take off. As custom-made contact lenses, Gentle 80 is a manufacturing lens, with an estimated delivery time of between one week and ten days, if in doubt, consult with our contact specialists. 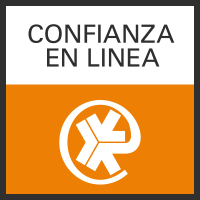 In Prodevisión you can buy cheap Gentle contact lenses , original and with secure payment.